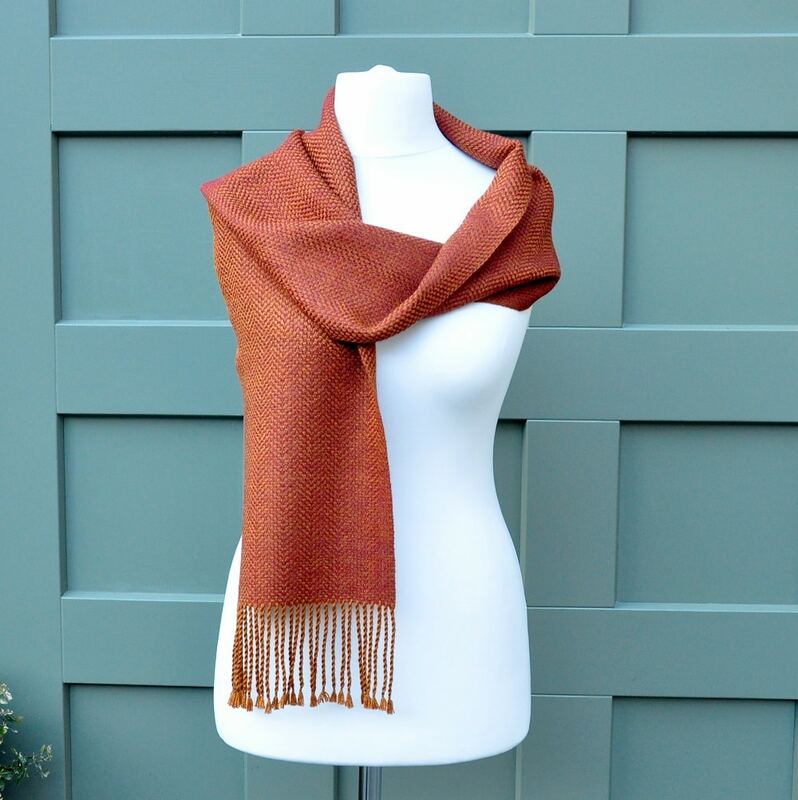 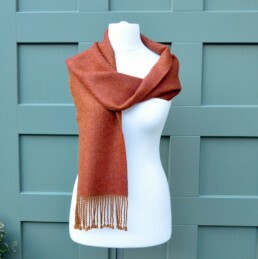 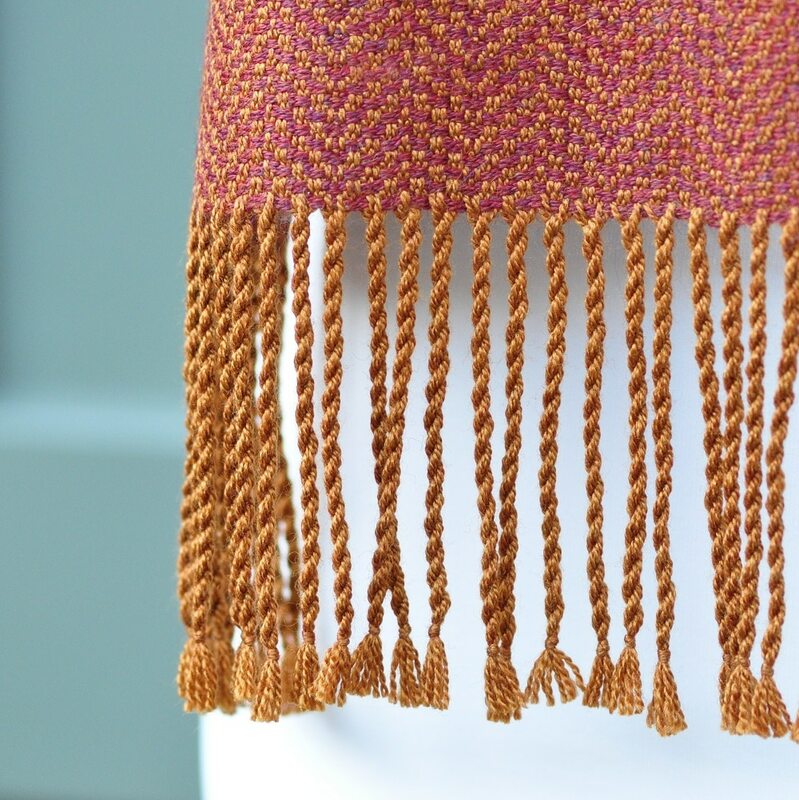 Scarf woven with merino, alpaca and silk yarn in marled burgundy and golden toffee colours – the result is an iridescent fabric that reflects the light beautifully. 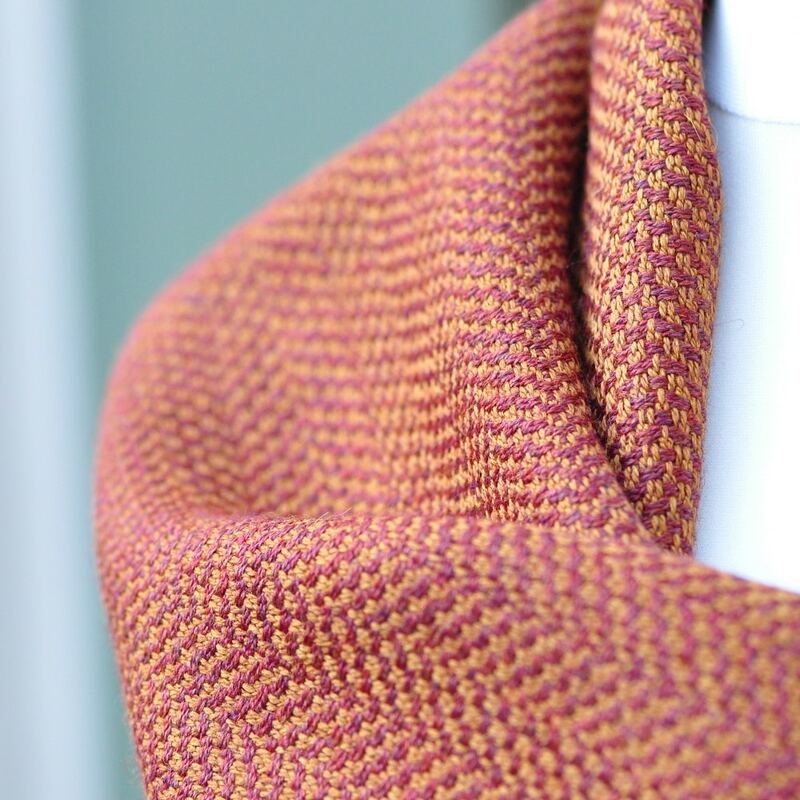 Extended herringbone pattern gives the piece a nature-inspired look. 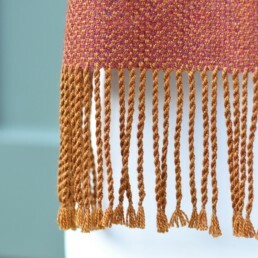 Length 168 cm, width 22 cm plus 10 cm hand-twisted fringes on each side.